Last Friday, I had a magical experience. 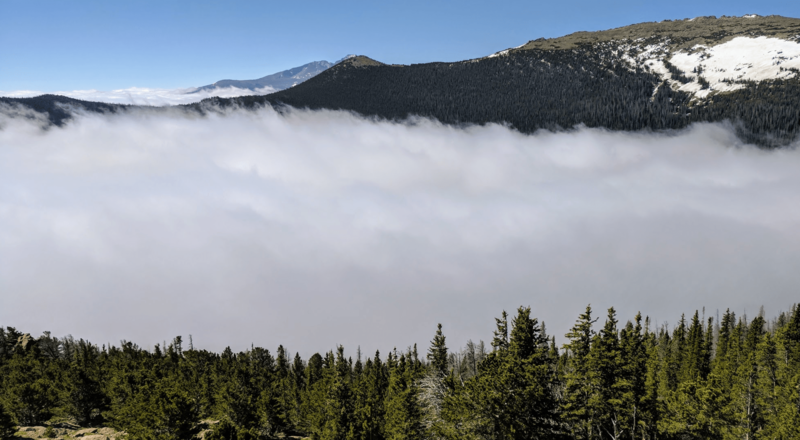 I had told the girls on Thursday evening that I’d be taking them to Rocky Mountain National Park. I looked outside on Friday morning and was annoyed by the heavy clouds. The girls would be upset if I told them that the trip was off, so I pushed ahead. I hoped that the clouds would break so we could see the park. Younger Daughter: What’s going on? Is this fog? Me: No, we’re driving through clouds. Younger Daughter: No way dad!!!! We made 5-10x the salary of our teacher friends at the end of our working careers. Other than our overly fancy $200k house (where average homes are $125-150k), we have a simpler lifestyle than our pals. They drive newer cars, drink fancier beers, and eat at better restaurants. Then wonder how we retired so much earlier than them – complaining about being able to save even modest sums. With all the things you have to do in life just to keep up, you really only have so much time and energy to maintain or enjoy everything. You realize things start collecting more dust than being used or utilized and you can save some money in the process. We’re in big-time decluttering mode now. My litmus test is this: “Does owning this make me happy?” If the answer is No, in the donation box it goes. One of my reach goals is to live on a big body of water (huge lake or ocean) and own a Tesla. I think it’s OK have some luxury items as long as you’re mindful of the tradeoff. What do you think? Of course, I’m biased. More money creates many more decisions. At higher the income levels you are forced to “deprive” yourself of many more things you can afford. With that kind of money, I would try to fund a variety of long-lasting projects to benefit the public good in a town or area I lived in or cared about. I lived in a town that had a public pool and a retirement residence which were largely funded by a single man’s generosity in the 1950s. Both places have been open for 50+ years and have contributed greatly to the town and its people. His name is not on either building and most folks couldn’t tell you how these great places were originally funded. He has humbly left a tremendous legacy in this town. Ask the Readers: What are Your Favorite Places? Favorite City: Madison, Wisconsin. I love Madison. It’s a beautiful city that’s bike and beer friendly. It’s big enough to have a lot to do, but small enough to not be intimidating. If it weren’t for the low temp winters and crazy high taxes, I’d still be there. Favorite National Park: Visiting Yosemite in June when the snowmelt powers massive waterfalls is an experience that will wake up your soul. It’s incredible. I’ve hiked to the top of Half Dome twice and if you can tell me about more beautiful views, I’d love to hear about them. 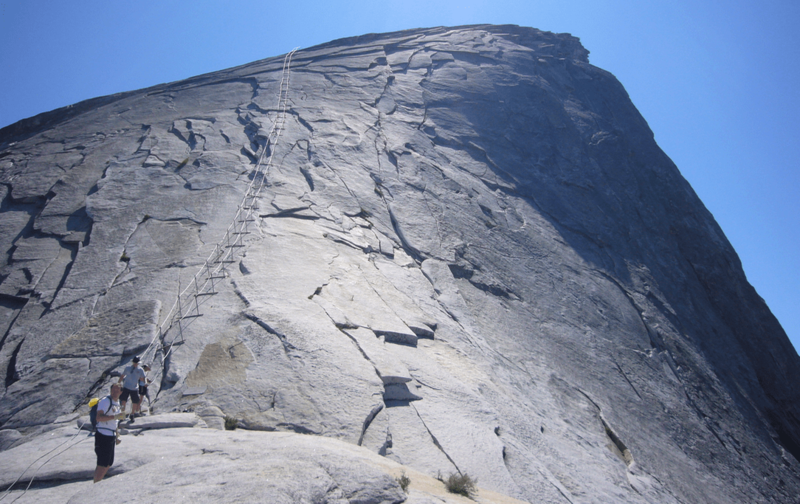 The famous Half Dome cables. Don’t let go! Favorite place to bum around on a long weekend: San Diego. Nothing like watching the waves roll in with a nice drink in hand. However, RAGBRAI is a wonderful experience. Farm county is beautiful and the people who live there are awesome. What city, state or country is your favorite. Why? What national parks do you visit over and over again? We love Yellowstone. Standing in the Firehole river with a flyrod in one hand as the steam from the hot springs rises around you and the sound of the water makes it feel like I’ve gone back in time. Even though the park gets busy, if you just hike a few hundred yards off the beaten path you can achieve some solitude. It’s something different every time we go. oh I love yellowstone! And yes you paint a fantastic picture! I drove to west coast and hit up the Grand Canyon, Painted Desert, and the Petrified forest along the way. It was gorgeous! Even the drive itself reminded me of the movie Cars. So many places to see in the world. Glad you enjoyed the Cars tour. Thanks! I love that part of country. Being in the desert almost feels like another planet. Thanks! I love that part of the country. The desert almost feels like another planet. I’m still in love with Hawaii, the big island has 17 climate zones! It’s just an amazing place to go with weather for everyone. Just got to drive up to 1 hour to get it 🙂 Oh, and volcanos are just cool, period. This is probably why I also love Yellowstone, been there now about 3 times and would not mind going again for another couple of days! What am I still doing in the Netherland? Good question……. Hawaii is a magical place for sure. Who knew there was snow there? Not me! My favorite place every is Tasmania Australia. Most of its like one big Yosemite and Tazy is full of interesting characters. Hiking and other outdoor endeavors are great. Domestically in recent years we’ve spent a lot of time mid upstate Maine on lakes. Very peaceful but a lot of things to do like hacking and boating. One more from my Australia work days, Tidal River National Park in Victoria Australia is largely off the international tourist circuit, but its one of my favorite parks in the world. Australia! Never been, but will someday. Thanks for the tips! I am a complete fan-girl when it comes to our area, but city-wise I love Traverse City, Michigan. It has a small-town feel with so many exciting things happening and an incredibly active and engaged community. It is also very outdoors oriented, so you will find most of us on or in a trail/lake/field/farm/forest exploring our area! I have only been once, but Yosemite blew me away on the National Park side. If I go outside the borders… Banff in Alberta is the most beautiful place on earth I’ve seen. I highly recommend going at some point, it is gorgeous! Beautiful pictures of RMNP, must have been amazing to see it in person. My favorite city is London, hands down. It’s insanely expensive so not a great candidate for permanent residence. But if price was not a factor, it’s where I’d live. I don’t fit the typical FIRE seeker mold in that I much prefer major metropolitan areas to an outdoorsy life. But I love the ocean, I’d happily return to the coast over and over again. London! We’ll be there for the first time in August. Can’t hardly wait! Woo-hoo. I’m a lurker living in London. Where will you be staying (sorry, that has a slightly stalker-ish quality to it! )? Lurking and stalking. I really should get out more! Let’s meet up! We’ll be in London around 8/11. Beers on me. I’ve been an east coast guy all my life, so my favorite spot is in the White Mountains in New Hampshire. I especially love the mountains in the summer. The weather is beautiful, nature is beautiful. Everything is so peaceful. And staying in the small towns out there are a great change of pace from the big city. We’ll be driving through the White Mountains in July. Thanks for reminding me! Great post. I’m glad the weather/clouds cooperated with you in Rock Mountain NP. I hear you about Madison, WI. 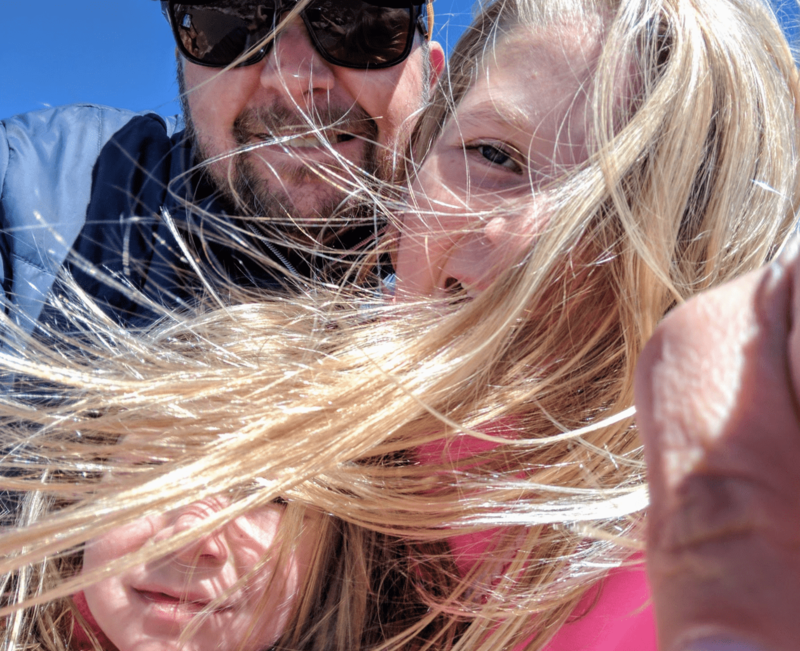 We just wrapped up a week there…..and I could see being snowbirds or something. I don’t know that the winters are for this Florida boy. I am increasingly thinking I could live in the Pisgah National Forest south of Ashville NC or around Evergreen CO. Each offers my kind of climate, and is fairly rural……but still with access to culture and an airport. Thanks for including my comment in the post! Awesome! My favorite place to visit is London. There’s something magical about that city. The history and winding little streets. The bustle and huge assortment of cultures. No other tourist city is both as homey and welcoming. It feels equally used by both locals and visitors. Redwood National Park is probably my favorite, though I have to admit to being a newbie in the National Park scene. I’ve been twice 10+ years apart. Both times magical. London! I’ll be there for the first time in August. Can’t hardly wait! Illinois! I grew up outside of Chicago. I love the city, but am happy to not live there now. Like you implied, family is everything though. I never would have moved if I still had family there. Hit me up when you make it to Colorado. We also go camping each year with her family. We get the same spots each year. Directly on the lake. Also amazing. Come to think of it, most of my favorite spots are outdoors. Half Dome is definitely on my list. One of the most incredible experiences of my life was the Hot Air Balloon Fiesta in Albuquerque, New Mexico. It’s held every year, and it was one of the most visually stunning experiences of my life. Although, that’s more of an “experience” than a favorite place. Other places that come to mind are Key West (in the cooler off season), New Orleans, Tracy Arm Fjord in Alaska and Misty Fjords National Monument, and Lower Antelope Canyon in Page, AZ. Yeesh, I can’t even come close to narrowing it down! Holy cow, you’ve been to a lot of cool places! And I was just talking to someone about that balloon festival. It’s on the bucket list! I spent a summer working in Mt. Rainier National Park as a teen and it was the best summer of my life. During off hours, there was nothing to do in Paradise, Washington (yes, that’s the “town” on the mountain and it’s aptly named) except hike and swim and enjoy nature. Gorgeous! I love this question! I love San Diego and Italy. Everyone is so happy in San Diego. And Italy is so romantic and beautiful. I’d go back to both in a heartbeat! I also really loved the roadtrip we did through Maine last year. It’s so hard to pick favorites! San Diego! We’re going back in October. Can’t hardly wait! What city, state or country is your favorite. Why? I love Hawaii and Costa Rica. I also live Italy. Damn this is hard. I did love Seattle until it got too expensive and overcrowded. What national parks do you visit over and over again? I love Bryce Canyon. I would love to see the Canadian Rockies though! If you could live anywhere, where would it be? Another tough question. Really trying to figure that out right now. Usually the places I love also have a high COL. I really like Colorado too but I feel like I’m getting priced out of there as much as LA! Any good places to rent a one bedroom in CO for about $800/month? Colorado still has some affordable places. Near us is Loveland, but it’s coming up fast. You’d have to change your site to Budget and the Mountains though! So in love with Greece! Specifically Santorini! It’s amazingly beautiful and so relaxing. We just got back from a two-week trip to Petrified Forest National Park, Utah’s Mighty Five, and the Grand Canyon. Bryce Canyon was my all-around favorite park, but I think I was biased because of the cooler temperatures there compared to everywhere else. We live in Texas right now, but will be moving into the mountains eventually. Hands-down favorite spot? Grand View Point in Canyonlands – Island In The Sky district. If you take the ~2 mile trail out to the point, you literally feel like you’re on an island in the sky. Definitely rivaled the views from the Grand Canyon in my opinion. Now we just need to get out again – the goal is to go to all 59 national parks! … nah I’m just playin, I’ll work through my problems.” Maybe some advice for your friends? What city, state or country is your favorite. Why? – Mackinac Island, Michigan. How can you go wrong with the great state of Michigan, preferred by 4/5 Great Lakes. Favorite place for food? – Hong Kong, once you get away from the menus with English translations the the menus in Traditional Chinese characters only, it’s the perfect combination of cheap and authentic. If you could live anywhere, where would it be? – I’d be a nomad, but if I had to choose a place it would be somewhere next to the water. Mr. Adventure Rich and I are heading up to Mackinac Island in September. My parents used to live on the Island and it is such a unique and awesome place! I try to always love the place I’m already in, instead of dreaming about “someplace better”. Every town, city, or state has something that can be appreciated and enjoyed. It’s a philosophy I think a lot of people could take to heart — Learn to love what you have, not what you don’t have. This is as bad as being asked to pick my favourite song, or book, or movie, or colour. Places that have made my heart grow three sizes larger include: the Grand Canyon, hiking in the Alps, diving off the coast of Hawaii, hiking the Brahmagiris and flying over the Okavango delta. Cities that make my heart sing include San Francisco and Amsterdam. Wow, you’ve had some great travels. You’re in a pretty great part of the world now too. There is a special place in my heart for the Chesapeake Bay. The food, the area, the people, the sites and smells. I love it, and miss it at times. As for the park, we just got back from Peru, so it’s top of mind, but standing atop Machu Picchu in the middle of the cloud forest at sun up was an experience I don’t think I could ever replicate. It was unreal. As far as where we think we can live? Well… the more we travel, the more we realize that there isn’t one specific place we want to settle down. The Northern Coast of Iceland was unreal, the people were so friendly. Edinburgh, Scotland was great, Berlin, we seriously considered moving to, Denver is a great town, as well. Of course we’re still in LA, which is a great place in and of itself. Too many options, maybe it’s like when you find the one to marry, you can’t describe it, you just know this is where you belong. Ha, yeah. Maybe the nomad commenter above has the right idea? Man, this is a tough exercise. Surprisingly hard just to pick one. -Hard to pick one, but I really loved Ireland. It’s on our list of “maybe someday” places to live. -Like you, Yosemite is freaking awesome. Though the Appalachian Trail is very close. -I think I’d pick where we live, in Tempe, because of the community of friends we have here. I have a hard time thinking we’d be happier anywhere else right now. Maybe when we get older and things change, we’d be more open to picking up sticks again. Nice and totally agree. I’d never move away from my family and friends. Geesh, it’s so hard to pick a favourite! Favourite place to live: I currently live in the Netherlands and am quite happy there. If I were to move somewhere else, it would have to have 1) more nature and less people per square mile and 2) be at least as well run by its government in terms of societal outcomes (preferably better of course) and 3) be a good cultural fit for me. Oh, and not be very hot in summer – I am way happier in a mild to cold climate. Judged by these standards, the places that qualify are the Scandinavian countries, Iceland, Canada and New Zealand. Favourite places to travel: anywhere that has mountains / big trees / other spectacular scenery. Really, don’t ask me to choose, there are so many very beautiful places in the world. Favourite city: I like cities with lots of greenery, a diverse culture, a relaxed vibe and a mild climate. So Cape Town, Vancouver, San Francisco, Portland and Amsterdam come to mind. And I know! How can we possibly be expected to fit it all in with just 90 or so years? City I love: Seattle – I grew up there and it will always hold a special place. Besides my internal bias though, it is simply fantastic. The city is full of parks and culture and things to do. You can go from sea to ski in about 2.5 hours, and the range of scenery in between is simply not to be missed. From hiking to the waterfalls and forests of the Cascades to taking a ferry trip across Puget Sound, if you are bored, you aren’t trying hard enough. Growing up there gave me a certain inoculation to rain. If you let it interfere with your plans, you will never do anything for 7-8 months of the year. The other 4-5 are amazing, by the way!! National Park: Death Valley – Go in the spring in a year after heavy rains when the flowers are blooming. It is stunning! Vistas of flowers across the plain with the starkness of 10,000 foot peaks on either side. The vastness of the place is inspiring, and surprising. You wouldn’t think it is as large as it is, but that also makes it dangerous. A truly fascinating place. Also on the list is Carlsbad Caverns. I’m a geology nerd, and this place is amazing! Place to live: I love San Diego, so likely here, but Seattle will always be home. Perhaps a summer house is in order, post FIRE, of course! Seattle is a wonderful place. City = Chicago, state = Colorado, country = Ireland. I like to move around. Chicago has EVERYTHING — restaurants, culture, vibe — without the coastal attitude. Colorado also has that vibe — people are just happy to be there, especially with fresh powder. And Ireland, well, is the most beautiful country I’ve ever visited. Not to mention every town has a coffee shop, bakery, book store, pub, river, and castle. That’s cool. Re: national parks … I’m not an enthusiast. I’ll take a beach instead. My favorite there is the pacific coast of Costa Rica. My wife and I have talked about where we’d live in retirement. We’d love to use Chicago or Denver as a home base, and then wander around to the great cities of the world, with recreation breaks at the beach or on the slopes. Chicago is worth it for pizza and Portillos alone. Favorite place…by a lake. My mom must be part water sprite. Her ‘big house’ had a stream in the back yard. Her Florida house overlooks a lake, and her summer place has a lake on the property too. Of course hanging out with mom & or other friends and family make these my favorite spots. I was in Ithaca for 2 months for a job once, just as the leaves were turning. Great hiking up there too. I had a great time on our out west trips, Grand Canyon, Bryce & Zion Canons, Yellowstone…well everything. Loved Hawaii, and Alaska. The guest ranch we’ve gone to in CA, some of the trails wend their way through the Sierra Nevada preserved lands. I’ve had some epic cool vacations over my life time. I’d like to go back to a lot of places, and explore new places too. But 2 weeks of vacation doesn’t make it easy. Thanks for the shout out for RAGBRAI! Iowa is a great LCOL area. It is nice to know that others appreciate the beauty of the farmland. There’s nothing like watching the sun come up over the cornfields from a bike on a cool morning. Driving from Yellowstone, through the Black Hills and The Badlands was an American safari and an excellent road trip. That being said, I love My Lake Michigan shores of southwest Michigan. Love that I get to call it home. When we lived in Chicago, we biked the Apple Cider Century every fall. Southwest Michigan is wonderful! I love Italy, and I love home (SF), and I love Hawaii. They all have amazing natural beauty and unbelievably good food for which I would and do travel thousands of miles for. That said, the prize for favorite can’t be awarded yet until I discover whether we also love Canada, New Zealand, Australia, Japan, Austria, France, Peru, Colombia, the Galapagos, and Argentina. We’ve got a lot more traveling to do! I’ve driven cross country several times (on different routes)… it’s amazing to watch the geography unfold in front of you. I’ve been to all 50 states – our country is big and beautiful and I think there’s interesting things around every corner…. I’ve also been to ten or so countries (Ecuador coming up this OCT!!) and they all had amazing and drop dead beautiful things to see and neat things to do. The imprint on my heart of what ‘home’ is, is classic New England where I grew up… but for a variety of weather, activity, social, and tax reasons, I’m leaning towards CO, WA, or OR for my FIRE home base… I plan on traveling as much as I can! 1) Favorite place to visit–Iceland. It was the first international trip that my wife and I took and we fell in love with the people, scenery, the runtur (weekend pub crawl). We would buy a flat there if we could. Close 2nd place is Prague, which we just visited. Not enough time spent there. 2) Favorite national park…Teton National Park. Ever since I was a kid I loved those snow capped mountains. 3) Where would I live? I would love to live abroad, particularly in Europe. I love the British Isles but have never visited Edinburgh or London but it has appeal as does Amsterdam or Copenhagen. I have too many places that I absolutely love, its really tough to pick just one, so my top 5 would be: Ecuador, Portugal, Iceland, Peru and Belize. As for where I want to live, part of my FI dream is to live in many places all over the world. Give me a couple of years and maybe I can narrow down my answer. I’ve been all over the world… 5 continents… but my favorite was definitely Australia. I actually took a solo 3 week backpacking trip there the year I turned 40, and it was the best trip I had ever taken. I suggest everyone do a solo trip at least once… it is awesome! When I was there, two distinct places were really magical… one was Magnetic Island. I stayed at a koala campground in a tiny little A-frame structure with a mattress on the floor and not much else, but the sounds of the animals at night were incredible against the rural silence. The second place was Phillips Island, where I saw penguins. And since it was a few hours away from the largest metro area, the sky was amazing at night. Being an astronomy/astrophysics buff, I loved being able to star gaze in the southern hemisphere! Also, if you like the Rockies, you will find the Alps similarly breathtaking. Glacier Bay National Park, Alaska. Not well known, and out of the way (100 miles West of Juneau, accessible only via boat or plane). 17 glaciers make their way to the Pacific Ocean in the park, the most beautiful place I’ve ever been. Fun post, and linking to it in our retirement bucket list (Google Doc)! After visiting for a long weekend during a Europe trip last year, I’m a huge fan of Prague. The people are straightforward, the city is absolutely loaded with history and character, and it’s remarkably affordable. As to national parks — does a national seashore count? There are ten of them in the US, and I’ve not yet been to them all, but my favorite so far is Assateague Island. It’s three hours from DC and all of ten miles from the insanity of Ocean City, Maryland, but it’s incredibly peaceful and beautiful. Wild ponies keep you on your toes, and the terrible mosquitoes (jokingly referred to as the state bird) disappear when the wind is up and you’re on the ocean side. I’ve visited dozens of times since I was a small child. As a barrier island and with storms becoming worse, there’s talk of removing campsites and letting the island fully revert to wilderness. I would very much miss August weekends camping with friends. As to where to live — this little historic city in Maryland where we own a home just outside DC suits me just fine. It’s diverse, well-connected via public transportation, and loaded with trees and 100-year-old houses. We’ve passed measures allowing non-citizens and 16- and 17-year-olds to vote in city elections. I can walk to four different grocery stores in less than 20 minutes. Our mayor often works from a barstool at the local coffee roastery. And our neighbors are wonderful people. I really liked Chicago, which I have visited a few times. It is a large diverse city, which has a Midwestern feel to it. Meaning people are actually nice. It has reliable public transportation, which is something most US cities lack. The only things I do not like is their O’Hare airport. But there is so much to see (love the museums)..
You may enjoy visiting Eureka Springs, which is a pretty neat place in the mountains of AR. There is a beautiful little village (Portpatrick) in the southwest of Scotland where standing next to the old lighthouse, looking out to the Irish Sea, brings back so many very happy memories of childhood. I wouldn’t say that it’s my favorite but one of the places that elicits a lot of strong emotions. Other than that, standing knee deep in snow on a powder day in the Teton range – hard to beat. Jackson Hole has so much going for it – unfortunately Silicon Valley and NY money is stripping it away in terms of real estate prices. We own a home in the White Mountains (near North Conway) and will be up there first week in July, some weekend (to be defined) in between and then the first week in August, so give us a holler if you are in the vicinity. Hiking and beer and beer and hiking is how we roll up there. I would say Sequoia National Park. I went there about 4 years ago on day when there was still snow on the ground. The park was practically empty. We got to hike through the sequoia groves in silence. It was beautiful. The scenery was incredible and made me feel insignificant. The trees don’t even seem like they are real. If I could afford to live in California and only be an hour or two away from that park, I would jump on that opportunity. Sequoia is incredible. Those trees are so big that my small mind an’t absorb it. The Central Coast of California for me! What a fun post! My favorite city is San Francisco, and I feel lucky everyday to be living and working here. National Parks – Banff/Jasper in the Canadian Rockies. Hikes around Moraine Lake/Peyto Lake are mostly tourist free with heavenly views! Being an astronomy/astrophysics buff, I loved being able to star gaze in the southern hemisphere! Three Arch Bay in Laguna Beach early morning dog walking; Joshua Tree in the early spring/late winter; San Juan Islands in the summer. You take a ferry ride to the island. No motorized vehicles are permitted on the island, just horses and bicycles. Most of the island is state park, except for the tourist area, where there are great hotels, restaurants, and shops. Fresh air blowing off the great lakes, aided by the no-car policy (although some horse manure smell in the town area). Summer temperatures are very mild. Historic sites to explore like the fort and the Grand Hotel, hiking with amazing views, fantastic bike trails, the biggest lilac trees you will ever see in your life. The best part of our time there was when the last ferries left for the day and the population of the island shrunk to the few locals and those staying in the hotels. With no cars and only a handful of bikes and horses on the move, it was so tranquil. There is nothing like sitting in a beachside hot tub, sipping on a Bell’s Oberon, admiring a rainbow over Lake Huron. Our honeymoon included Mackinac Island and Traverse City (mentioned in another comment here). Best week of my life. Doug, this sounds like a magical experience! We were just at Mackinac last month, but it was cold and foggy. I need to go there again someday. There’s a place called Blowhole bay where I love to go fishing. It’s a horseshoe shaped cove that’s teeming with Salmon so you always catch a delicious dinner. If you get bored of fishing the sides of the coves are great to free climb, the winds and the tides have worn down the cliffs so they have great handholds and heaps of ledges so you’re never going to fall more than a few feet. that’s a great blog post – tx for sharing! if i could choose a place to live it would be a small ranch in Tennessee (nearby Nashville). Yellowstone National Park is amazing. Stunning back country lakes and beautiful waterfalls are everywhere. Of course, evenings in the hammock are the best! Lake Tahoe hands down. It is where I grew up. I’d consider living there is property, taxes, the TRPA beuracracy, etc. weren’t such big issues. Today I live in Utah which has the “Big 5” national parks and tons of beautiful places and outdoor activitites year round. It is also a great place to raise a family. My buddy just reached FIRE in LA and is looking all around the country for places to retire to with his wife and young daughter. When I reach the same goal in a few years I might look elsewhere as well but don’t know that I’ll find anyplace better than here.